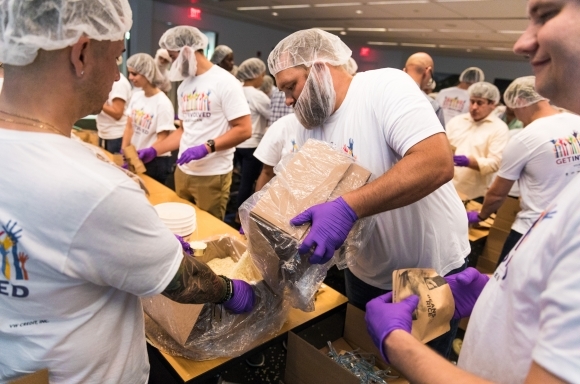 Herndon, VA (July 16, 2018) – Volkswagen Group of America, Inc. (VWGoA) today announced that hundreds of employees from across the country recently volunteered with Generosity Feeds as part of the organization’s 2018 VWGoA Get Involved Summer of Service. 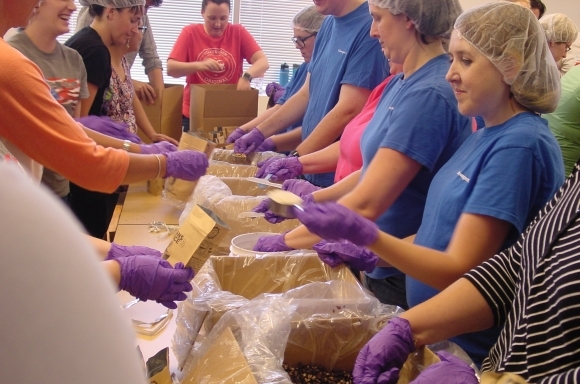 Employees packed over 35,000 meals for American children in need in local VWGoA communities. The Get Involved Summer of Service is an annual initiative, from May to early September, designated as a concentrated time for employees to volunteer with organizations and initiatives in VWGoA communities nationwide. 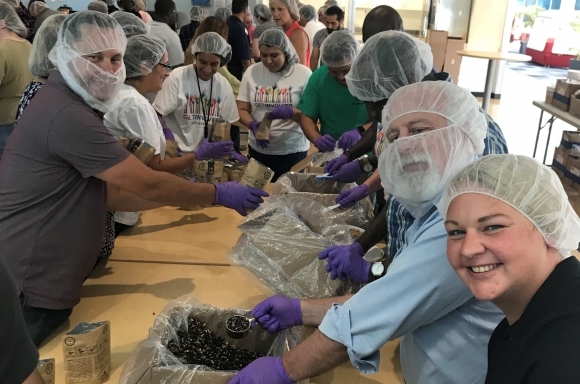 “Last year, our corporate headquarters in Herndon, Va. hosted Generosity Feeds for a meal-packing event and it was such a success that we were thrilled to have six of our VWGoA locations from across the country join us to simultaneously create meals at their own offices to celebrate the 2018 Get Involved Summer of Service,” said Machelle Williams, Sr. Director of Diversity & CSR, VWGoA. VWGoA colleagues packed meals to help support local schools and food pantries in VWGoA communities nationwide, including: Belmont, Calif.; Fort Worth, Texas; Herndon, Va.; Hillsboro, Ore.; Libertyville, Ill.; and Maricopa, Ariz. Last year, colleagues in Herndon, Va. helped to pack 5,000 meals for students at a Northern Virginia school. This year’s multi-location initiative will be nearly seven times more impactful. Each VWGoA participant at the six locations had a specific job. 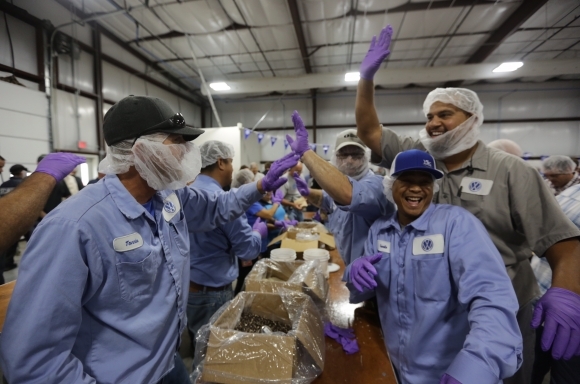 Whether it was scooping in the ingredients or sealing the meal packs or packing the boxes full of meals, it was a total team effort. Beyond the Summer of Service, the company encourages employees to “Get Involved” year-round and supports this through initiatives like matching employee donations and providing employees with a volunteer day, in which the employee is provided a paid day off to serve in their community. Volkswagen Group of America, Inc. (VWGoA) is a wholly owned subsidiary of Volkswagen AG, one of the world’s leading automobile manufacturers and the largest carmaker in Europe. VWGoA operates a manufacturing plant in Chattanooga, Tennessee and houses the U.S. operations of a worldwide family of distinguished and exciting brands including Audi, Bentley, Bugatti, Lamborghini, and Volkswagen, as well as VW Credit, Inc. Founded in 1955, the company’s headquarters are in Herndon, Virginia. The company has approximately 1,000 dealers. 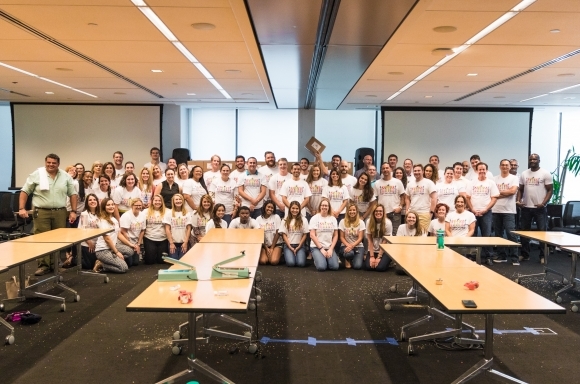 Description: Volkswagen Group of America, Inc. (VWGoA) announced that hundreds of employees from across the country recently volunteered with Generosity Feeds as part of the organization’s 2018 VWGoA Get Involved Summer of Service. 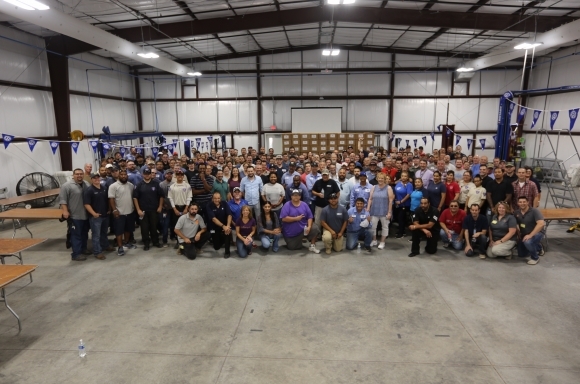 Employees packed over 35,000 meals for American children in need in local VWGoA communities.